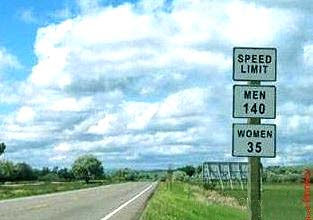 Nothing against women drivers for me, but apparently in this County they felt the speed limit should reflect reality. This was a funny one I saw in a residential neighborhood, I want one of those for mine ! 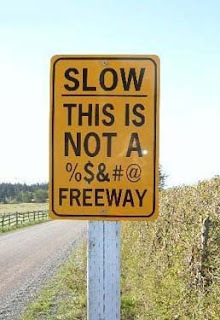 those were really funny signs!